Considering this year's "winter," that's not bad news. You don't need to go to Punxsutawney to get Phil's prediction. 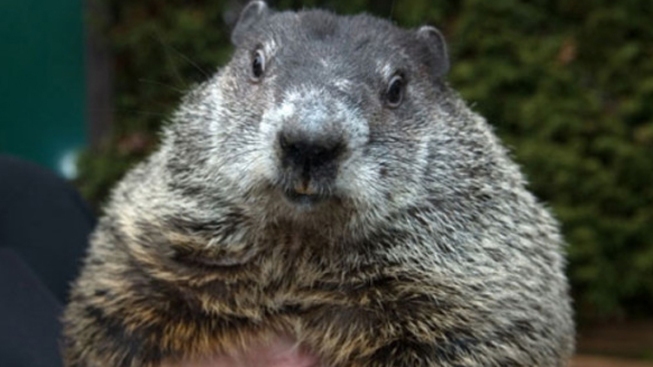 Pennsylvania's famous groundhog Punxsutawney Phil has emerged from his lair and saw his shadow, in the process predicting six more weeks of winter. But, at this rate, that might not be so bad. The groundhog made his “prediction” on Gobbler's Knob, a tiny hill in the town for which he's named about 65 miles northeast of Pittsburgh. Temperatures were near freezing when he emerged at dawn - unseasonably warm - and are forecast to climb into the mid-40s in a winter that's brought little snow and only a few notably cold days to much of the East. Thursday's ceremony is largely that: Phil's prediction is determined ahead of time by the Inner Circle, a group which dons top hats and tuxedos and decides in advance what the groundhog will predict.